← Time to change gears! I’ve been buying fun, costume-y jewelry for years. Some of it I get rid of, some of it I keep forever, and most of it – well, I never actually wear it. But I’m turning over a new leaf. Not a resolution really, but I’m trying to put some effort into getting dressed every morning. I’ve always been of the opinion that if you look good, you feel good. And I need all the feeling good I can get this winter! 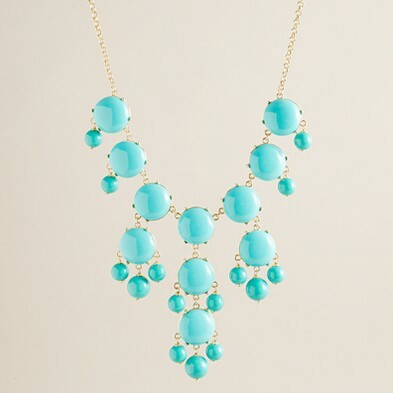 I have had my eye on this necklace or a version of this necklace for a few years now. Because of the price, and the number of times I would have actually put it on (zero), I’ve declined. But as of today, I have successfully worn something other than my stud earrings and my wedding band, three days in a row!